Whoah! At last! New blog site! | Tell Me… Am I From This World? Tell Me… Am I From This World? Whoah! At last! New blog site! After all my blogs were gone when Multiply closed down, I was kinda depressed since I wasn’t able to save them.. (Can’t save blogs though). I thought once you post something online it’ll be there forever.. Aaarrrggghhhh!!! But now, just found out an easy way to post blogs. Hehehe. A WordPress App for Android!! Now, I’ll start blogging again!! Nyahaha! And I’m doing my first blog here while waiting for my turn for our Annual Physical Examination. 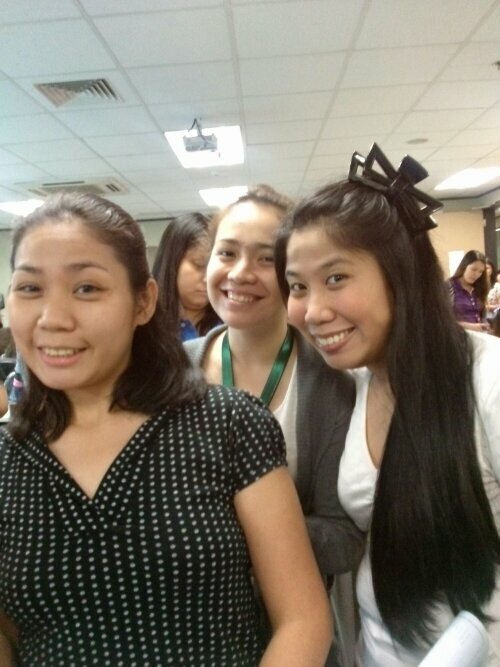 With me are Raissa, Hazel and Agueda. I’m so happy I can continue blogging. Yeah!!! Next PostMy Newly Adopted Odd-Eye Kitty..
Turkey is a very beautiful country that tourists should include on their bucket list. It is very safe amidst some negative news about it. You will definitely enjoy your stay there and experience the warmth and friendliness of its people. Here is a short clip of our trip to Turkey last December 2017. If there is one thing I won’t forget in our Morocco trip, it will be our journey to Ait Ben Haddou. I can’t forget the long travel we had going there, the steep walk towards the summit and the unforgettable jolly old man (86-year old!) Mr Abdou as our tour guide. Heaven on Earth in Ait Ben Haddou.. Mom to Cutie Fil-Marocaine Baby Girl named Sky.